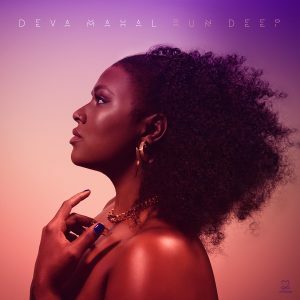 Genre defying R&B/Soul goddess Deva Mahal recently released her much-anticipated debut album Run Deep on March 23 via Motéma Music, fresh off the success of her self-titled introductory EP. Run Deep was produced by Scott Jacoby (Vampire Weekend, José James, Coldplay), with two tracks produced by Jarrett Wetherell (Beyoncé/FKA Twigs). A rare combination of masterful songwriting and breathtaking vocal talent, Deva Mahal (pronounced “Diva”) steps into the spotlight on Run Deep, featuring 12-tracks of pulse-pounding soul with a decidedly modern edge. 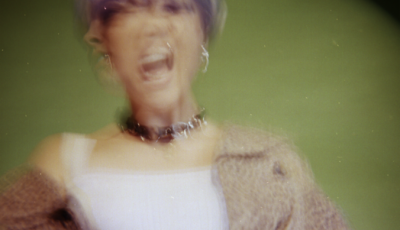 Taking inspiration from the idea of strength through vulnerability, she powerfully connects with raw honesty, rich musicality, and emotionally searing songs of love and loss that convey the true resiliency of the human spirit to triumph over adversity. Born with blues in her blood, the highly astute songwriter has created a unique sound blending modern R&B, indie-pop, soul, rock and gospel. The title Run Deep connects Deva’s musical bloodline with the finely hewn emotions weaved throughout her songs. The sultry grit of ‘Can’t Call It Love’ kicks off the album, followed by the bold R&B stomp of ‘Snakes,’ a sharp warning to watch out for people with bad intentions. The late-night groove of ‘Turnt Up,’ featuring Allen Stone, sways under the trance of her whiskey-soaked seductiveness, and Stone’s equally sly counterpoint, while the melancholy spirituality of ‘Fire’ traces a clear path through trial, tribulations and facing one’s demons. Despite its title, the track ‘Dream’ is a clear, wide-eyed reflection of a love gone wrong and finding the strength to let go. The album’s title track ‘Run Deep’ raises the vibration, celebrating the power of music and the triumph of rising above all obstacles, with a stunning feature by Deva’s sister Coco Peila. 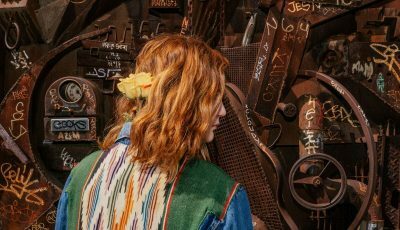 Reinforcing her strength and belief in humanity, ‘Optimist’ shines with its organ-driven rock beat. ‘It’s Down to You’ shows off Deva’s soulful balladry as she reclaims her time and energy, while ‘Shards’ intimately reveals her very core in a stark, confessional anthem. ‘Wicked’ is an electro-soul call to action in the vein of Stevie Wonder’s politically charged classics. 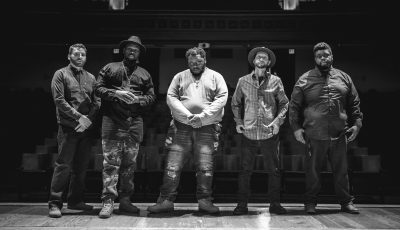 The album comes full circle with a cover of the Carole King/Gerry Goffin song ‘Take a Giant Step’ – famously covered by her father Taj Mahal in 1969 – but rendered current and personal in Deva’s rendition. Throughout the album, Deva navigates a wide variation of emotional depth, breathing vivid life into songs that draw on a deep well of personal experience, and serve as revelations, cautionary tales, empowerment anthems, and wry observations on contemporary romance. The world started to realise Deva’s songwriting talents in 2008, when ‘Never Let You Go,’ a co-write with her father, gained acclaim on the Grammy-nominated album Maestro. She’s also collaborated with a wide array of artists, including members of TV on the Radio, Sharon Jones and the Dap Kings, and Fat Freddy’s Drop (who she toured with in Europe). 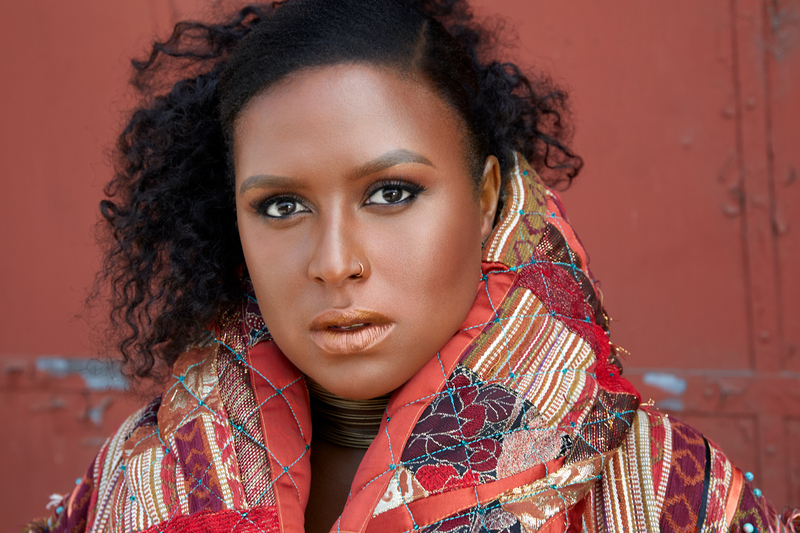 She’s also performed at such renowned venues and festivals as Sonar, Womad, Carnegie Hall, The Apollo, the Atlanta Jazz Festival, North Sea Jazz Festival and Montreux Jazz Festival. Defiant in both voice and in person, Deva has put herself forward as an exemplar of positive body image and overcoming the travails of bullying and discrimination. She’s lent her support and talents to organizations like “Voices of a People’s History of the United States” which are working to cast the light of truth on racial inequality, gender stereotypes, and bias as well as issues surrounding poverty. Thanks for your time. So where does this interview find you today? Has it been a good day? I am at home in Harlem while recovering from last night at my album release show and I am feeling really full with love and true sense of accomplishment. 2017 was an incredible yer of growth and development. It marked the beginning of my entry into the world as international recording artist. I put out my first debut EP and did my first sold out European tour. It’s now 2018 and my debut LP has just been released! I can’t wait to travel take my music anywhere it leads me to. Yes! Never a day passed without music. My first memory would have been singing in my primary school assemblies in the first grade. I grew up in Hawai’i and in my later teens, in Aotearoa, New Zealand. These two places are thick with culture and diversity with powerful history and majesty. Music is ingrained in our communities and really support vocal artistry. They helped teach me the importance and gravitas of melody and lyrics. There is much tragedy and pain imbued into these lands as well as an undeniable feeling of hope and unity. A realness and rawness that shakes your soul. Let’s talk about your debut album, “Run Deep,” that came out on March 23rd via Motema Music! How long did it take to make it? What was it like putting this collection together? Did anything surprise you at all about the overall process? How are the songs on this album all letters to yourself and others? This album took my whole life, thus far, to make and it was a fairly easy choosing the songs that actually made the album. I wanted to make an album that portrayed strength in vulnerability so I chose the tracks that depicted that in the context of an entire 12 track album. Because we had such a short time to put all the pieces together, I couldn’t afford to be precious about it. My favorite way of corresponding with people in my life is by handwritten letter, I think it is the most personal way to communicate and far more intimate than a text or an email. Thinking of these songs as letters allows the listener to feel closer to each song and connect even deeper to the lyrics. My main desire is the facilitate a connection with my fans and in turn, help others connect to whomever they choose. What was it like working with your producers Scott Jacoby and Jarrett Wetherell on your album? I was very lucky to work with these two gentlemen. They gave so much of themselves and asked for little in return. What was the inspiration for your newest single “Can’t Call It Love”? How do you think this song prepares listeners for more music from you? How does it compare to the rest of your album? I’ve always been the type to fall deep and hard and that clearly hasn’t worked out for me. I wanted to let myself know that it is okay to take your time and be more careful with myself. Protect my heart and value what I have to offer to someone more. It is my hope that my listeners are able to take that home with them as well. It is like On this album, I think it conveys my tougher and sassier side and sets a great tone for the rest of the tracks that traverse all the sides of love, self-reflection and empowerment. I sing when I am working or when I am walking. That is where I get most of my inspiration. Definitely am more at home on a stage and engaging with a live audience and band. My next show will be held at the Exit 0 Festival in Cape May on April 21st. It is always my hope to have a dope sounding room with an audience that is ready to give as much as they take. To be honest, I’m not sure I’m very good at the whole social media thing. I recognize it as important but I like to think that I am active and sharing in a truthful and meaningful way. I am told that it is an integral part of being an artist these days. It does get a bit exhausting and the rebel in me doesn’t to indulge in it too much. I prefer to make real connections with people. Great art meaningfully reflects the times they exist in. I think that people need to feel heard and acknowledged. Musicians have an incredible privilege to help people connect through common placed interest. I am all for helping people to care more and think deeper. There are so many that I can’t list them all. One day I would love to make an album with Blake Mills, Mark Ronson and Pharell, sing on the stage with Tina Turner, Mary J Blige and Chaka Khan and open for the Alabama Shakes. That there is strength in being vulnerable and that time moves forward so the pain will never last forever. An Interview With The Dark Pop-Rock LA-Based Band RIVALS On Their Debut Album, ‘Damned Soul’ And More!